I have been saving family size Welch’s grape juice bottles all winter. It’s our favorite juice. I am saving them for those nights when Michigan weather springs a chilly surprise on us. Another great idea! And those will make good sized cloches too! Take photos and feel free to tag us on Facebook/twitter if you post them. 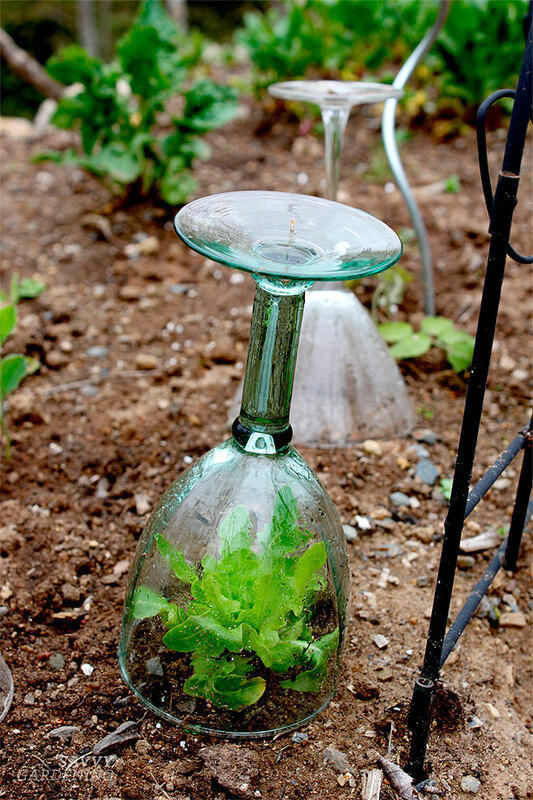 We’d love to see your clever cloches! I like using the clear plastic containers that cored pineapples are packaged in at the super duper grocery store!